There are two many right handed starters to narrow it down to three so I went with five. The Astros have some good right handed pitching talent at the top. Martes was an under the radar acquisition in 2014 in the Jarred Cosart trade. Martes had a breakout 2015 season pitching across three levels at just 19 years old and making it to AA. He pitched whole 2016 season with Corpus and after a slow start, he has dominated the Texas League. From May 17th until the end of the season Martes went 7-4 with a 2.52 ERA and 114 K in 103.2 innings. At just 20 years old, he has established himself as one of the best pitching prospects in baseball striking out 131 batters in 125.1 innings in AA. Martes has a very good power breaking ball and a mid to high 90s fastball. He is still very young and will pitch all of 2017 at just 21 years old and is one of the best pitching prospects in baseball. He could be a guy who makes a McCullers type impact for Houston in 2017. Paulino was the PTBNL in the trade that sent Veras to Detroit. He missed all of 2014 due to TJ Surgery but has made a resurgence since. Last season he 5-3 with a 2.81 ERA over three different levels. He was even better this season pitching in AA and AAA. With Corpus, Paulino posted a 1.83 ERA with 11 BB/72 K in 64 innings. He missed sometime due to a minor injury but came back and pitched well. He was eventually called up to the Astros where he pitched just 7 innings. Paulino mixes a mid 90s fastball with a big curveball. He hit a career high in innings last year (97 total) and will probably be on a limit due to the TJS. He will most likely start in AAA and will be one of the first to come up when help is needed. The Astros signed Perez in 2014 at just 16 years old. He made his Astros system debut in 2015 pitching between the DSL and the Gulf Coast League Astros striking out 61 batters in 50 innings at just 17 years old. In 2016, at just 18 years old, Perez made his full season debut with Quad Cities proving why the Astros signed him. He had a 2.84 ERA with 19 BB/75 K in 66.2 IP. While Perez doesn’t have the high 90s fastball, he works it 92-94 MPH (touching 95) while mixing in solid offspeed pitches (curveball, changeup) with the changeup being the best. He has very advanced pitchability for his age. He is very athletic and has a good build for a starter as well. He will be 19 years old for the full 2017 season and could make his way to Double-A, similar to Martes in 2015. Whitley was drafted by the Astros with the 17th overall pick in the 2016 draft. Whitley is huge, especially for just 18 years old, listed at 6’7″ and 240 lbs. After signing Whitley was assigned to the GCL Astros where he 3 BB/13 K in 7.1 IP. He was promoted to Greeneville and 3 BB/13 K in 11.1 IP. He finished the season with an impressive 6 BB/26 K in just 18.2 IP. Whitley has a mid 90s fastball, thanks to his huge frame. But unlike many with big bodies, he has a smooth delivery that he is able to repeat well. 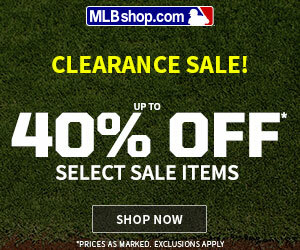 He already has a solid off-speed offering and should be pitching in full season next year. He could have a big season and jump up the prospect rankings. Armenteros had one of the better seasons in the Astros system in 2016. He was signed for just $40,000 in late 2014 out of Cuba. After making his stateside debut in 2015 and going 3-2 with 61 K in 61 innings, he has established himself as a legit pitching prospect. 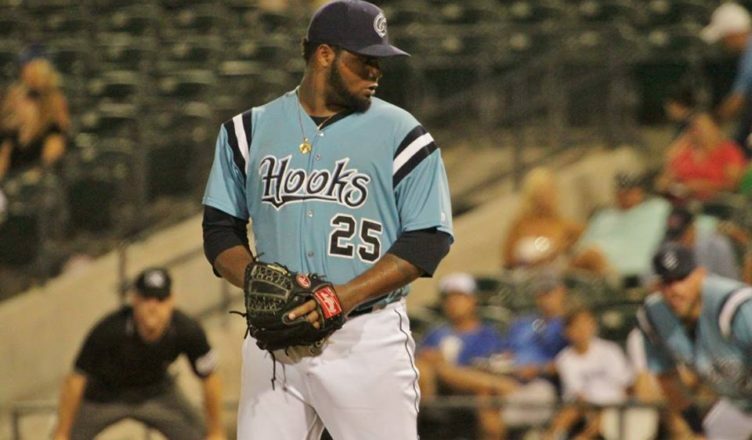 Armenteros finished 2016 leading the Astros minor league system in strikeouts with 140 K in 127.1 innings pitching with Quad Cities, Lancaster, and Corpus Christi. Armenteros made one start in the playoffs for Corpus and went 5 innings allowing 1 run. He has a low to mid 90s fastball and a plethora of off-speed pitches with his curveball probably being his best. He does a good job mixing things up and keeping hitters off balance. He will be 23 in 2017 and should see time in AA and AAA. Brady Rodgers (MLB) – Rodgers was a 3rd round pick out of Arizona State in 2012. After a great showing in rookie ball he had a couple rough season but always had the potential to breakout, and he did so in 2016. He posted a 5.14 ERA in April but dominated the rest of the season posting a 2.43 ERA with 102 K in 111 innings. He also showed off very good control walking just 23 in 132 total innings. Rodgers got called up to the Astros and pitched 8.1 innings before the season ended. Trent Thornton (AA) – Thornton was selected in the 5th round of the 2015 draft out of UNC. Thornton was also on the breakout prospect list. Thornton was very good his freshman and sophomore season but regressed in his junior season. The Astros decided to take a chance on him and it paid off. He posted a 3.27 ERA in rookie ball and the Astros aggressively assigned him to Lancaster to start the 2016 season. He 7-4 with a 4.12 ERA and 16 BB/89 K in the Cal League. He was promoted to Corpus and dominated in his seven starts with a 2.35 ERA and 5 BB/35 K in 46 innings. You can check out my interview with him here. Dean Deetz (AA) – While Deetz had a good season, there is still more potential for him to grow. He possesses a big time fastball and a very good curve. Deetz was drafted by the Astros in the 11th round of the 2014 draft. He had a very good 2015 season posting a 1.70 ERA over 63.2 innings. In 2016 he improved his strikeout rate averaging nearly 9 per nine innings. He was eventually promoted to Double-A where he made two starts and dominated allowing zero runs and 2 BB/17 K in 12 innings. Lupe Chavez (Rookie) – Chavez was originally signed by the Blue Jays in 2014 out of Mexico and was traded to the Astros in 2016. Chavez was an outfielder who converted to pitcher and turned into one of the better pitching prospects in Mexico. He has a projectable build with a good fastball/changeup combination with the changeup already flashing as above average. He also has a curveball which is still developing. His fastball velocity sits low 90s touching 92/93. This season he is 4-1 with a 1.69 ERA 32 IP, 29 H, 4 BB/26 K for GCL Blue Jays. As we have seen in the past with Martes and Paulino, the Astros do a great job scouting guys in the GCL.